The total average daily volume (ADV) traded on Thomson Reuters platforms during the month of July have been reported by the company at $344 billion. The figure is lower by 11% when compared to the previous month, but still higher by 8% year-on-year. Starting this month, the figures encompass trading on Thomson Reuters Matching and FXall in all transaction types – spot, forwards, swaps, options and non-deliverable forwards (NDFs). 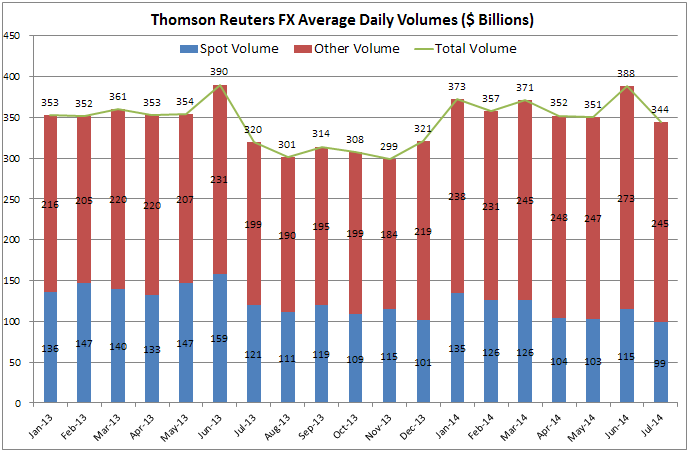 Thomson Reuters has changed the methodology which it uses to report its monthly volume numbers. The sum is a consolidated representation of Thomson Reuters/FXall trading volumes, aiming to reflect the total liquidity across all its trading venues. 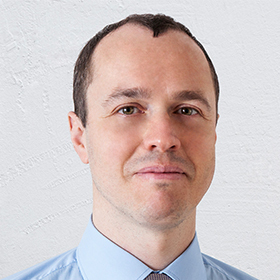 Separately, the company is providing a monthly total for ADV of spot trades.